Henri Julien Rousseau dit le Douanier may have never seen a jungle in his lifetime, but he became quite the master of the wild. So where did this Frenchman who never left France find the inspiration to depict enigmatic jungles? Influenced by the illustrations in children's literature as well as Paris' wealth of Botanical gardens, Rousseau imagined his own leafy landscapes. 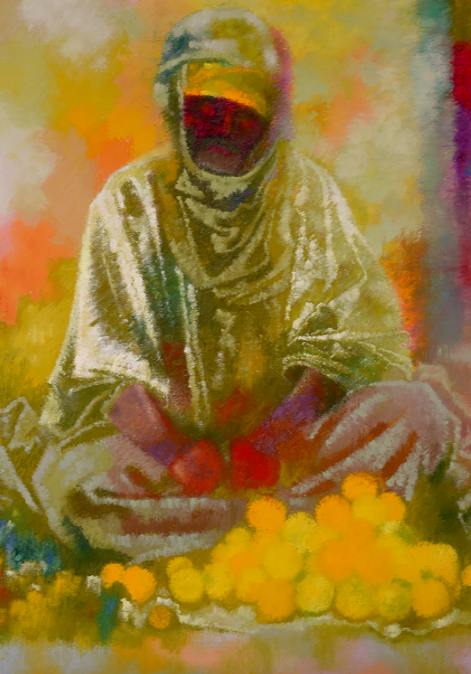 Legend has it, that whilst serving in the French army, Rousseau would hear the tales of the jungle as told to him by survivors of French expeditions to Mexico. 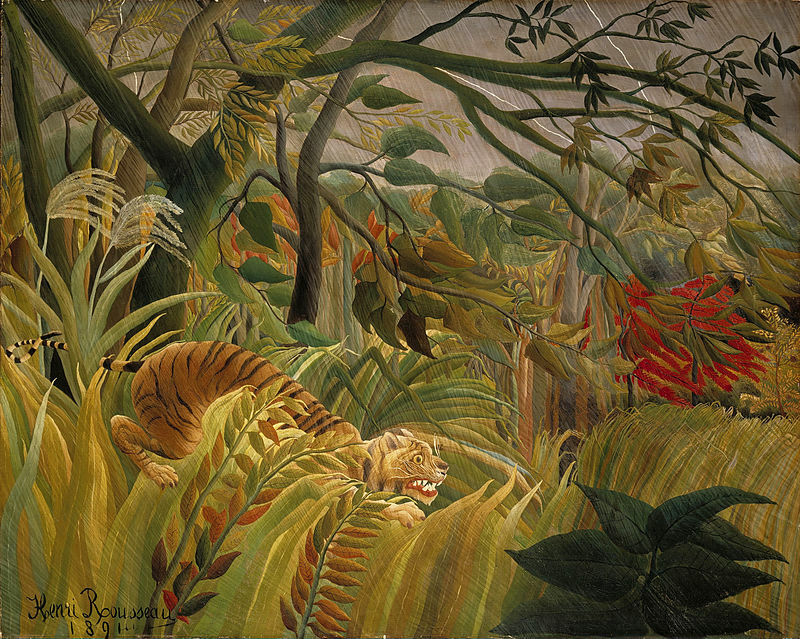 Rousseau's first jungle scene was Surpris!, which depicts what the artist once described as, a tiger hunting explorers. 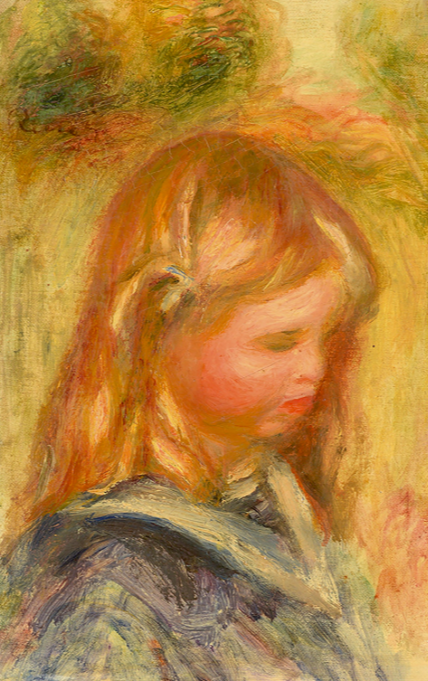 It was exhibited at the Salon des Indépendants in 1891. As a flâneur of Paris' streets, Rousseau's fantastical jungles offered escapism from the city. His modern and almost surrealist paintings were adored by his fellow artists René Magritte, Max Ernst and Pablo Picasso, for their bold and primitive style. 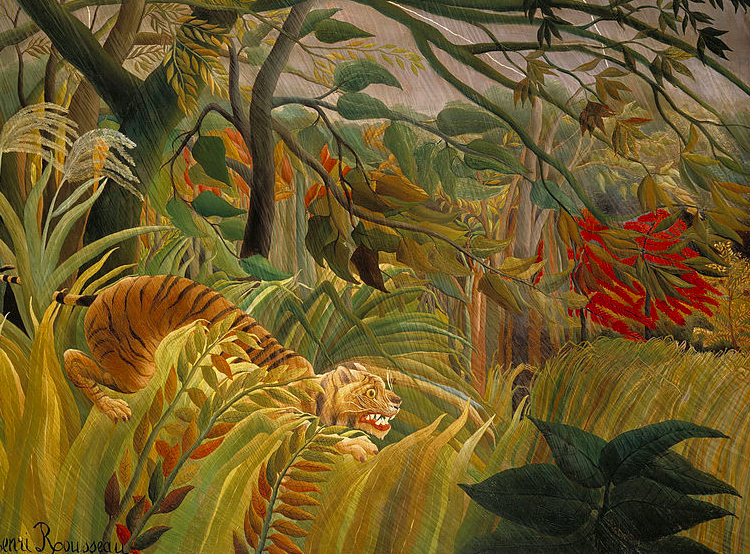 In 2006, Tate Modern dedicated an exhibition to the jungles of Rousseau's oeuvre entitled Henri Rousseau: Jungles in Paris, which featured 50 works, most of which had previously rarely been seen in the UK. 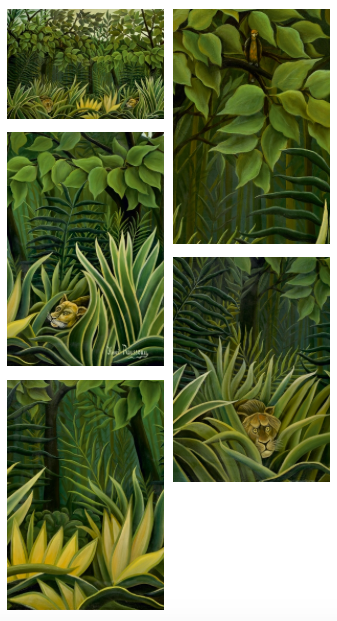 Rousseau's Deaux lions a l'affut dans la jungle will be featured in HVMC's Modern and contemporary paintings, sculptures and photographs sale on December 14, 2016. 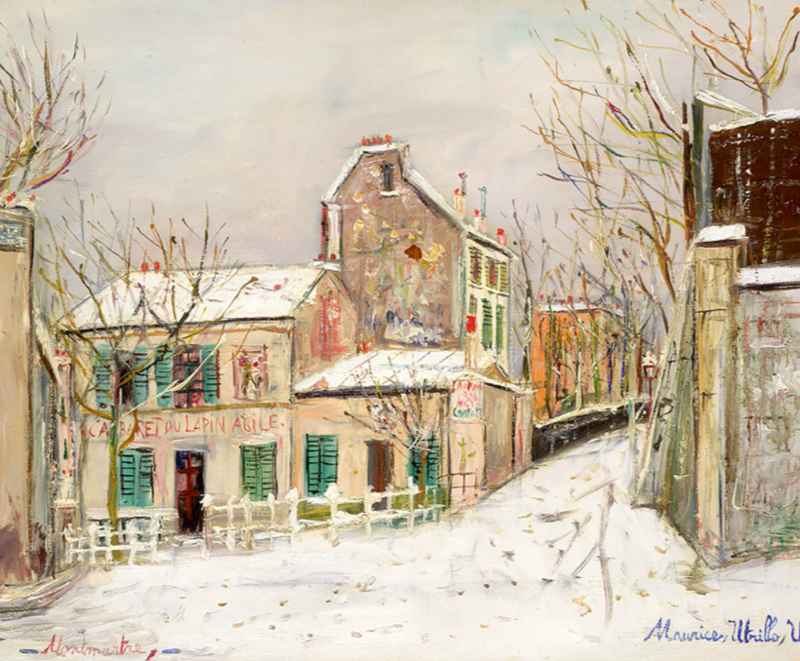 The sale will also feature an impressive line-up of works from masters of modern and contemporary including Renoir, Signac, Utrillo, Dubuffet and more.